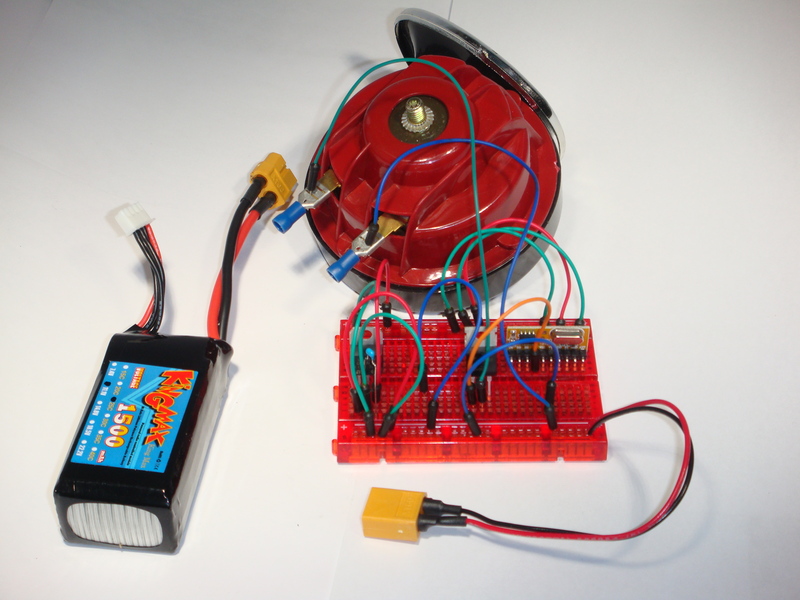 In Part 1 of this tutorial I described the circuit and components of the project. In this part I will show how to assemble all the parts onto a breadboard and start having fun. 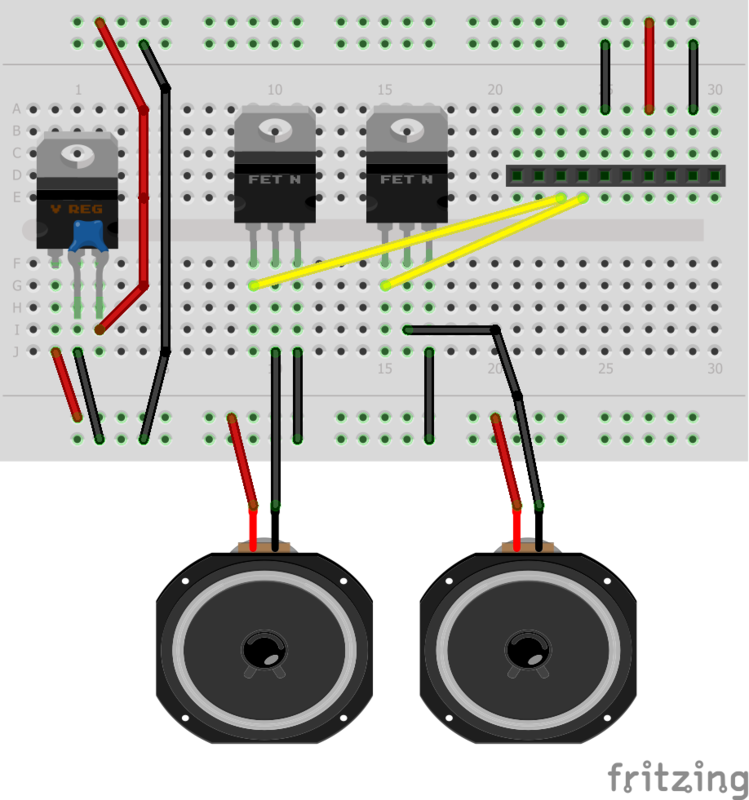 The image above shows how to place all the components on a breadboard – fritzing was used to prototype the connections and show the basic layout. Speakers are used to show the car horns and just a header to show the receiver. The actual pin-outs for the receiver are shown in the image below. From the 2 figures above you can see that we connected D1 to one MOSFET and D2 to the other. This is a photo of what we actually did. We only connected a single horn to keep it easy and simple. The remote does not come programmed so you need to program it, or if you order it from us we can program it with default codes – if you leave us a note at checkout. 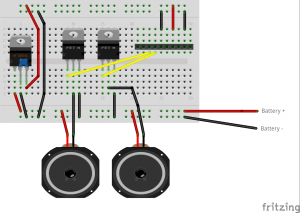 To program the remote just press and hold one of the buttons until the led starts blinking, then press the button of the remote you want to clone and the led should stop blinking when it copies the code. You can repeat this for all the other 3 buttons if you need. As with the remote the receiver is not paired with any device, you will need to pair it with your remote if you want it to receive signals from it. In order to pair it take a jumper wire and place one side in the same row as ‘K1’ then for about 2 seconds place the other side into the ground/Black line of the breadboard. This will put the receiver into programming mode. After this press button 1 on your remote and you should see a blue LED flash on the board indicating that the receiver has been paired to your remote. Previous post: The first in an onoing series about a guy who has no idea what he’s doing here, but really wants to.